The seven council members would each name one person to the task force, while County Executive Steve Stenger could name four. 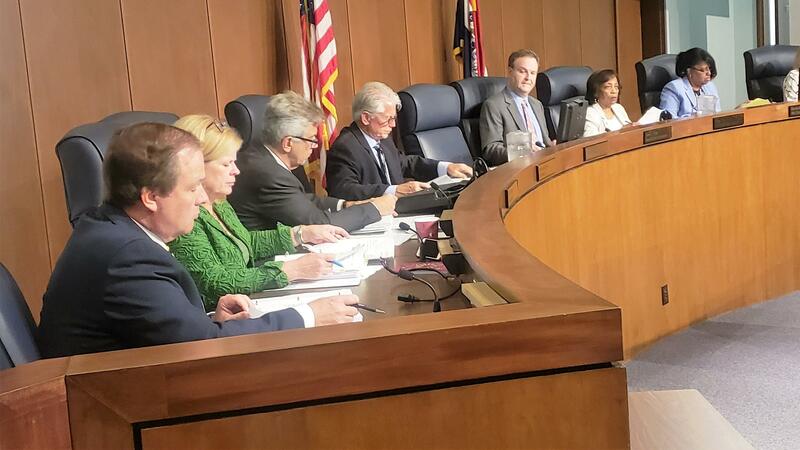 The St. Louis Council at its meeting on June 26, 2018. 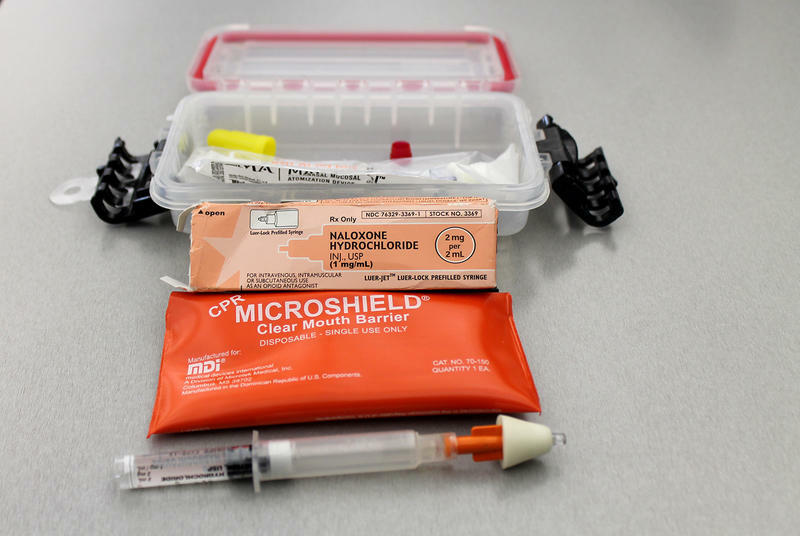 Stenger spokesman Cordell Whitlock said the county executive was open to any push to battle opioid abuse, and cited Stenger’s longstanding efforts in that regard. Council chairman Sam Page, a Democrat from Creve Coeur, said the council wants the task force members to be chosen by next week, and hopes to have a report from the group by late August. County vote on county parks? Meanwhile, Page – a strong Stenger critic – introduced a bill Tuesday that seeks a change to the county’s charter to require that county voters must approve any sale or lease of county park property. Page said his aim was to avoid a replay of last year’s dispute over Creve Coeur Park, where Stenger led an effort to build a new ice rink practice facility for the St. Louis Blues hockey team. Controversy led to the Blues putting their practice site elsewhere. If the council goes along, Page is aiming to put the proposal on the November ballot. The council gave final approval to a bill authorizing $1.4 million to design two new county police stations. The panel wants to see the design plans before giving final approval to construction. One of the new stations would be in North County just off Dunn Road, near Christian Northeast Hospital. The second would be in Affton in South County. In a related move, the council also gave final approval to a bill that requires Stenger to select new members to the county Port Authority. Page is among the council members critical of how the authority handled land acquisition for the south county site. All of the authority members currently are serving after their terms expired; all had been appointed by Stenger’s predecessor, fellow Democrat Charlie Dooley, who left office in January 2015. The St. Louis County Council’s focus on redevelopment efforts at the old Northwest Plaza site – and its related accusations against County Executive Steve Stenger – are now igniting concerns among St. Ann officials and civic leaders. St. Ann city administrator Matt Conley was among several who contended that the council’s political fight with Stenger is hurting the city’s efforts to attract businesses to the former shopping center site, which once was a regional magnet for shoppers. 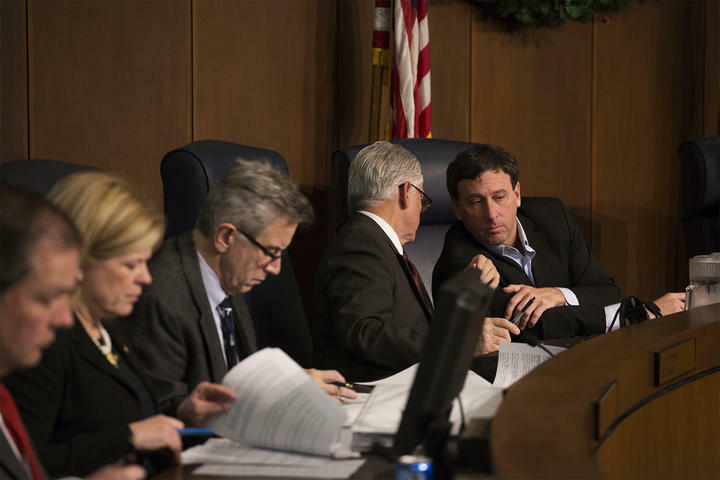 St. Louis County voters will likely weigh in this summer on the ongoing power struggle between the St. Louis County Council and County Executive Steve Stenger. 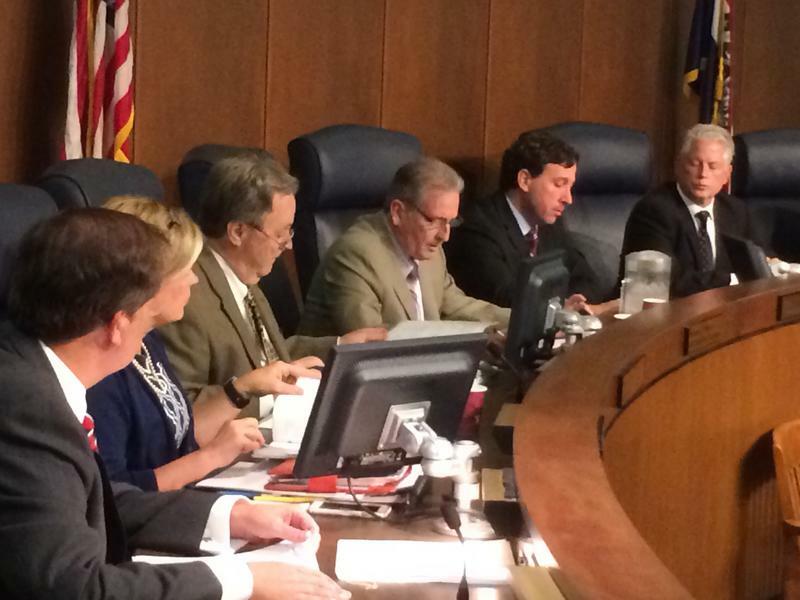 The council voted 6-1 today to override five of his vetoes. Three of the measures are proposed changes to the county Charter that will be placed on the August ballot. One of the changes would set campaign-donation limits of $2,600 for candidates for countywide office or the council. All three have provisions that would increase the council’s powers.